Probate is the process used to ensure a person’s assets are passed on according to the terms of their last will and testament. Depending on the circumstances, settling an estate can be simple, or a very involved process. Having experienced estate planning lawyers guide you through the probate process can make a difficult time easier for you and your family. The probate process in Pennsylvania ensures that the estate is distributed according to the decedent’s wishes, and that the executor meets the statutory requirements of settling an estate. The estate’s assets are collected, final debts are settled, any necessary taxes are paid, property is passed from the estate to their heirs or beneficiaries, and the estate is settled. The process can take anywhere from three months to a year or more, depending upon the complexity of the estate and if proper planning was in place prior to the passing of the decedent. Without proper administration, the estate is susceptible to errors, an increase in tax liability, court involvement and claims which can result in serious issues for beneficiaries. There are several steps that must be taken to complete probate. Consulting with a probate attorney to review the will and other pertinent documents can save you time and headaches down the road. 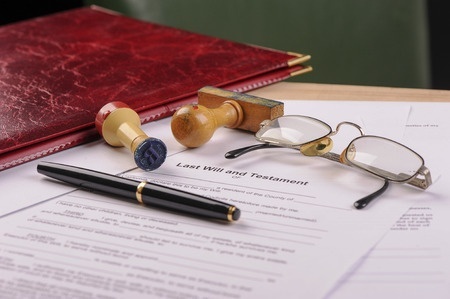 The executor or representative of the estate must take the will and a certified copy of the death certificate to the Register of Wills in the county where the decedent lived. Your attorney can accompany you and help you complete the necessary forms. The Register will give you an oath of office as executor and documentation allowing you to act and make transactions for the deceased’s estate. A probate tax based on the estate’s value is payable at this time. Once the estate is opened, probate or trust administration can begin. All of the assets of the decedent are identified, located and collected by the executor. Creditors are put on notice, beneficiaries or individuals with an interest in the estate must receive notice, and certification of the notices must be filed with the Court. If Pennsylvania inheritance taxes are paid within three months of opening the estate, the estate receives a discount of five percent. The final inheritance tax return is due nine months from the date of death. When all outstanding matters have been resolved, a final accounting of the estate administration must be prepared. The remaining assets will be distributed in accordance with the will or trust or in accordance with the laws of Pennsylvania if there is no will. If there are any inconsistencies or disputes among beneficiaries or creditors, a formal accounting to the Court may be required. Being prepared before your death can help your loved ones avoid conflict and legal issues that may arise. Qualified estate planning and wills and trusts lawyers at Carosella can provide comprehensive services to help plan your estate and/or create appropriate trusts. Whether you are planning an estate or dealing with the death of a loved one, Carosella & Associates’ experienced attorneys practicing in Montgomery County, Delaware County and Chester County are here to help you through the process and make it as stress-free as possible.